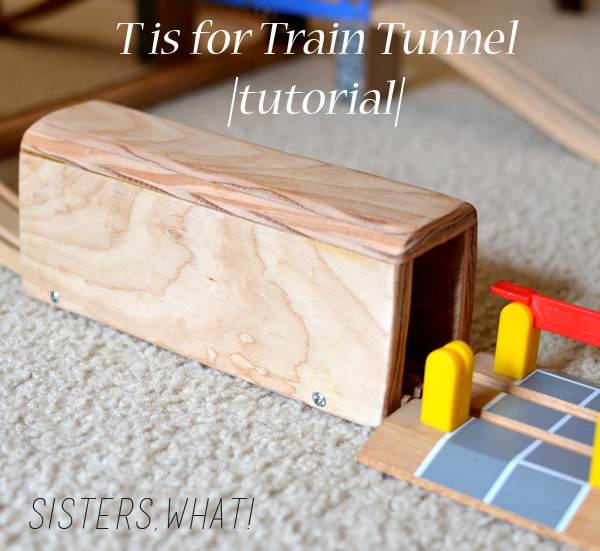 ' T is for Train Tunnel [Tutorial] - Sisters, What! I've been meaning to share this really cool train tunnel since...well last Christmas. But, I keep forgetting. 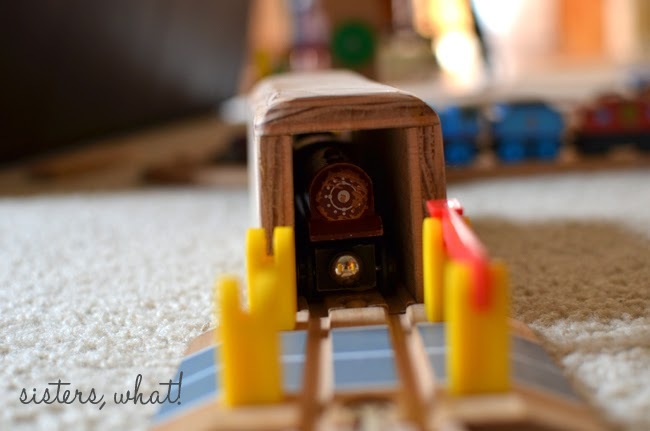 This awesome train tunnel was made by my husband as a Christmas gift for Captain Awesome. I wanted to buy him a tunnel, but husband said "how hard can a train tunnel be to make?" And so he took the challenge upon himself and whipped up this beauty. |1| cut your side pieces out of the plywood. We based it on the height of the tallest train, so ours measured roughly 2 3/4 x 8(length of train track). The top piece was cut proportionally with the side pieces and length of train track. 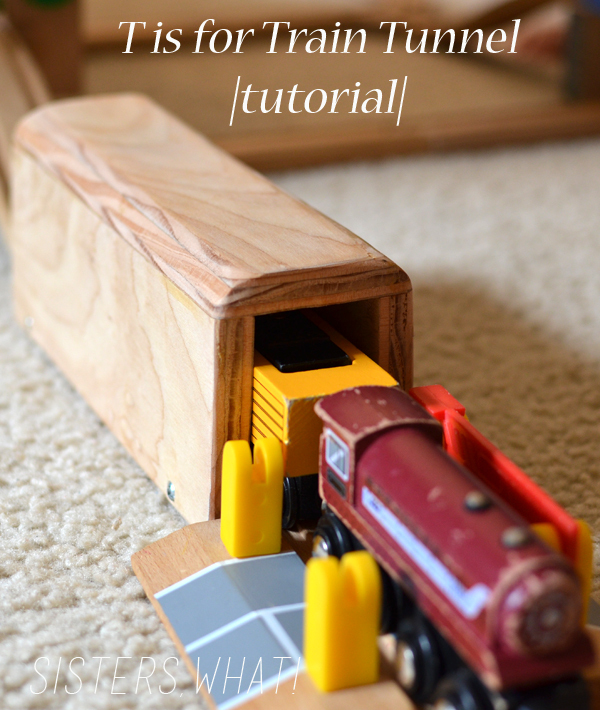 |2| Attach your top side pieces to the train track with small screws. To attach the top, he cut the dowels (he can't remember exactly) to maybe 1/2 or an 1 inch in size. Then he barely drilled into top of tunnel two holes on each side, just in enough so the dowel can stick out. He also drilled holes into the top of the tunnel where the tunnel top would match up (sorry, that must sounds confusing). 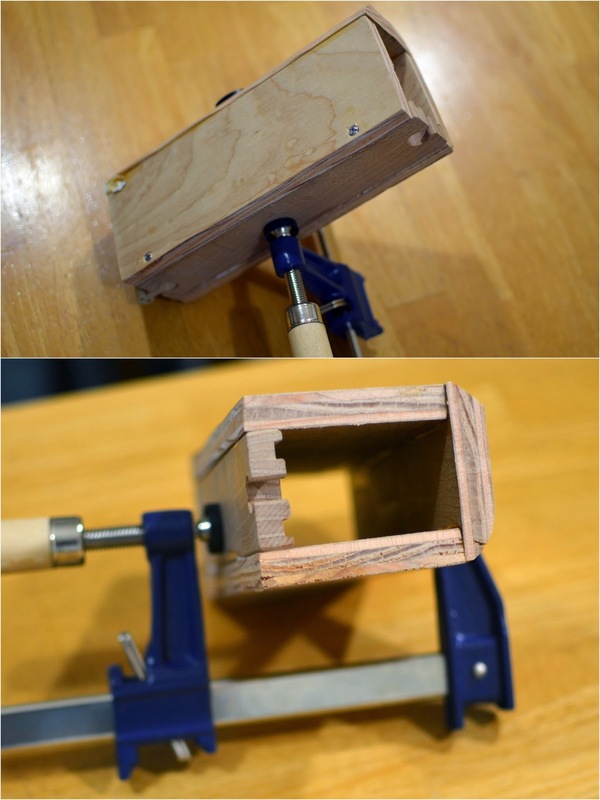 Once you have your dowels in place, place your wood glue along the top of the tunnel and attach the tunnel top. |3| Once you have your tunnel top attached, grab your clap and and place it over the entire tunnel until the glue dries. And that's about it. I think he also sanded the top, so that it is rounded a bit. You can paint your tunnel or stain it or you can just leave it plain wooden like ours. I'm sure your little ones would LOVE this and it is relatively easy to make. And a GREAT homemade Christmas gift. this looks really fun and easy to make! cute diy addition!